It has now been confirmed that the abandoned car belongs to Exotic Skittles, a renowned luxury car rental company in Dallas. 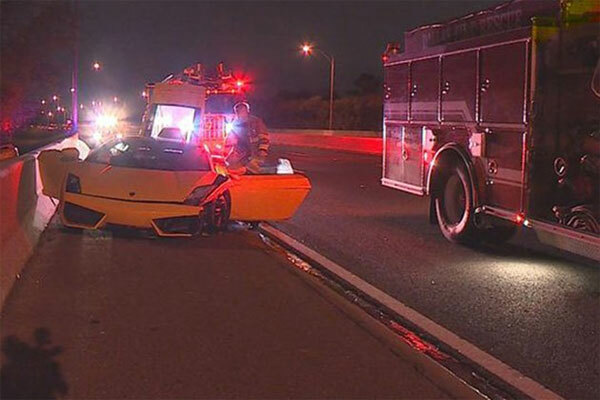 Upon investigation, the rental company did not disclose any details of the person who hired out the supercar. It is one of the two lambos owned by the car rental company. The wrecked Lamborghini does not look great now, as both sides are damaged. A tow truck then arrived at the scene and transported the car to Dallas police impound. The Lamborghini Gallardo LP 550-2 Coupe was introduced by the Italian automaker as the lowest tier vehicle in Gallardo lineup. However, it is still priced somewhere around $200,000, while the average rent ranges between $1,200 and $1,400 per night. As per the rental agreement, the driver had an insurance policy that would cover the costly damages.